Shakhrisabz is situated at the foothills of Zerafshan mountain range, at the altitude of 658 m above sea level, 80 km away from legendary Samarkand. The road to this town lies through the high mountainous pass of Takhta-Karacha. History of Shakhrisabz dates back to the I millennium BC, but the objects found during archaeological excavations in Shakhrisabz proved the signs of existence of a state, formed in the middle of the III century BC. According to the Chinese manuscripts, in the place of this town there existed another town, named Suse. The ruler of Suse had good diplomatic relationships with China and founded a town of Ki-shi. Thus, in the II century BC this town was known as Kesh. At different times this town was rebuilt and changed its location, and so present Shakhrisabz is located approximately 20 km from original place of ancient Kesh. This ancient town witnessed the troops of Alexander the Great and hordes of Genghis khan. In the XV century, during governing of Amir Timur (Tamerlane), Kesh was surrounded by the fortress walls and became a big center under name of Shakhrisabz which means “Green town”. Though Shakhrisabz was a hometown of Tamerlane, it never became a capital of his empire, but during his governing, it became the center of trade, handicraft, science and culture. Shakhrisabz is indeed the center where a peculiar style of architecture was originated and later this style spread in other medieval cities of Timurids period. The architectural monuments, erected in Timurids era, astonish the whole world to present day. The Ak-Saray Palace is the main architectural monument of Shakhrisabz. The name of the Palace had nothing to do with its color (Ak-Saray means “White Palace”), but with its elegance and grandness. The palace was constructed more than 20 years (1380-1405), but unfortunately, only two pylons of the entrance portal have remained up to this day. The Spanish envoy R. Gonzales de Clavijo, having traveled via Shakhrisabz in 1404, found it still under construction and described it in detail. He described the main entrance as being very long and portal very high. He also mentioned the magnificent parks and a big fruit garden attached to the dwelling part of the Palace. Besides, there was a water pool over the ark that kept the Palace cool. Shakhrisabz is one of the unique towns of Uzbekistan with several medieval mausoleums. One of them is Dorus Siadat – ruins of the memorial which was to serve as Timurids burial-vault. The earliest of these mausoleums is the mausoleum of Sheikh Shamsuddin Kulyal, Timur’s spiritual mentor. In 1373-1374 Timur’s father Taragai was also buried near Sheikh’s grave, “at his feet”. Timur’s eldest son Jekhangir died in 1376 at the age of 20 and his corpse was removed to Shakhrisabz where masters from Khorezm erected a burial – vault on Timur’s instructions. Jekhangir’s mausoleum is highest building of this complex. The height of dome is 18m. XI-XII centuries and was disclosed during archaeological excavations in 1953-1954. Shakghrisabz is a wonderful town, founded in ancient time and always played a great role in the history of Central Asia. 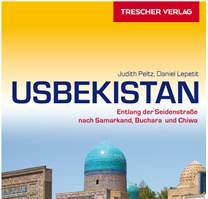 Its monuments fill up the history of Central Asian architecture by mas-terpieces which are interesting to understand the development of mastership of medieval architects.